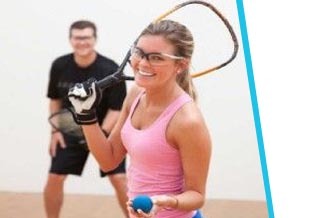 Elevate your game with Racquetball lessons from Premier Athletic Club. Our courts are available to members at no additional fee. 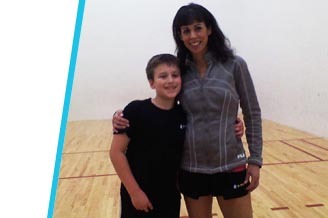 Lessons are available with our racquetball director, Beth Shea, for children and adults. Junior programs for ages seven and up take place weekday afternoons. Adult lessons are available on evenings and weekends and group clinics run each season. All lessons should be booked at the front desk. Click here for information on our Summer Singles program or click here to register online. Click here for information and registration for the Jr. Racquetball Group Lessons or click here to register online.